Integrated active clamp flyback controllers from Silanna Semiconductor now include the SZ1105 flyback pulse width modulation (PWM) controller which has over 93 per cent efficiency. The all silicon, 60W device combines the simplicity of flyback controllers with the power density enabled by active clamp flyback (ACF) controllers, claims the company. Like the existing 30W SZ1101 model, the SZ1105 60W controller combines an advanced adaptive digital ACF controller, a high voltage active clamp MOSFET, active clamp FET driver and a start-up voltage regulator. According to Silanna Semiconductor, the level of integration aids the design of high power density AC/DC power adapters with a low bill of materials (BoM). The SZ1105is suited for designing slim and compact adapters for powering notebooks, video game consoles and multi-port wall chargers. 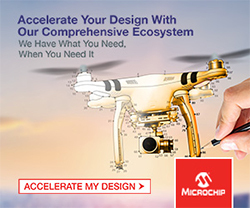 High power density capabilities help designers overcome the thermal challenges of the small form factor power adapters that also remain cool to the touch. High efficiency, or reducing power loss, is key to achieving the power density without overheating the adapter’s case, explains Silanna. 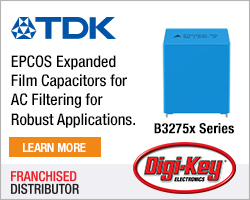 The simple flyback controller and an all-silicon design contributes to the 93 per cent efficiency at 20V/3A, and over 20W/in3 power density at full 60W output power, while using an industry-standard, avalanche-rated silicon MOSFET main switch. 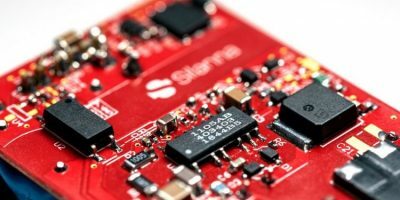 Silanna’s IC overcomes the traditional complexities of designing with ACF controllers and eliminates the need for a tight tolerance for the clamp capacitor and leakage inductance. Silanna’s proprietary OptiMode adaptive digital control technology manages the critical on/off timing of the active clamp FET based on system operating conditions. Replacing the traditional RCD snubber with a clamp capacitor and an integrated active clamp MOSFET, means that the SZ1105 delivers lossless recycling of leakage energy to the output, reports Silanna. Precise control of the active clamp circuit delivers near-zero-voltage switching (ZVS) to further increase efficiency. The SZ1105 also includes optimal valley mode switching, tight switching frequency control, and intelligent switching frequency handling, for efficiency, a reduced main switch voltage rating, and appreciable attenuation of common mode EMI noise. 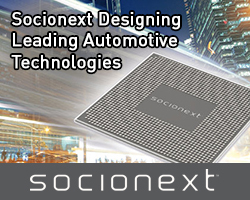 The SZ1105 is available in the industry-standard 16-pin SOIC package, with a latched version (SZ1105-01) available immediately for sampling. A hiccup mode version will be available later in Q2.